We made it to Friday!! I'm celebrating right now with a diet coke in a foam cup-extra pebble ice. One more week until I get to see my parents, and I'm SO excited. Hopefully this next week flies by because I haven't seen my parents since April. 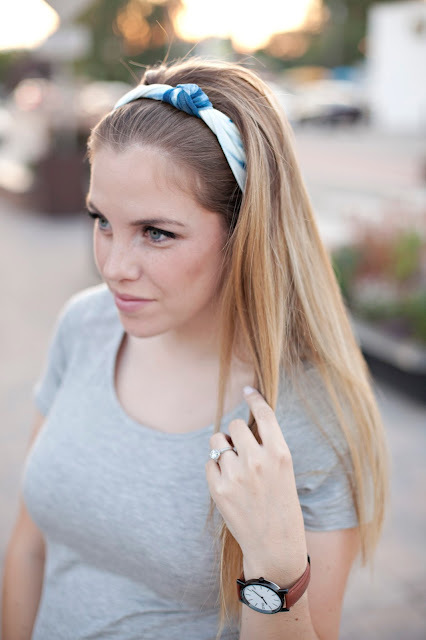 Remember my post earlier this week about Pink Blush Maternity?? 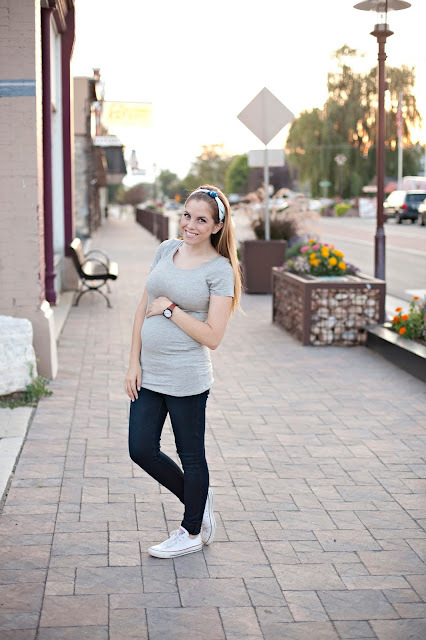 Well their basic maternity tees are HEAVENLY and come in 11 colors. Look how long they are! It's perfect maternity wardrobe staple because you can wear it all 3 trimesters. I feel like this outfit is a total mom uniform. Perfect for running errands! Another good thing about these maternity tees is that you could wear them even if you weren't pregnant because they don't look like a maternity t-shirt. Plus they make great shirts for layering during the fall. I hope you guys have a great rest of your day. Enjoy your weekend!